Tracey Sabino, has proven again right now nobody is doing it better. 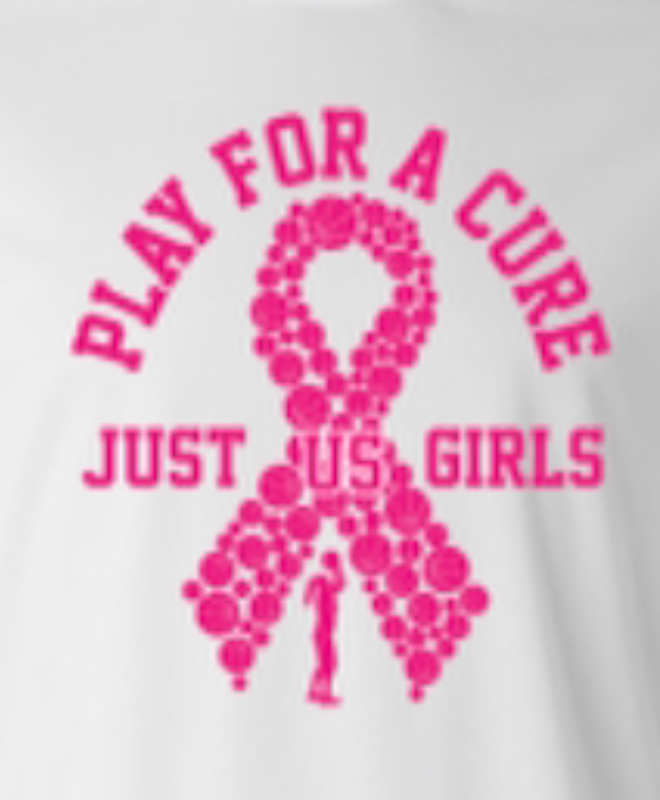 Her JUST GIRLS PLAY FOR A CURE was nothing short of a masterpiece. It’s clear this event is now on its way to being one of the best events the fall has to offer. The addition of some of the best high schools in the state along with inviting college coaches, made the event must see basketball. This weekends event at Hoop Group was a basketball junkies dream. It also was a D2/D3 coaches dream as well. There is so much to talk about, it would take me forever to write about it. I could start with the money raised by the event for Mary’s Place by the Sea. In fact Colts Neck high School raised over $500 dollars beyond there entree fee. That alone is pretty darn impressive. It’s shows those kids really get what this event is really all about. This years event will raise more than the $4,200 raised last season. So BRAVO to Colts Neck high school and all those who donated. The competition in the event was off the charts. But it was the intensity of the games that was most impressive all weekend. Now while the high school teams could not wear there school jerseys or have their high school coaches coach. The teams clearly were playing to win and represent their schools. Now before anyone start bragging and thinking they are the favorites to win the SCT OR TOC ..remember these are fall games. Everyone plays and the substitution patterns look nothing like the regular season. But that does not take away from the excitement. On a Saturday, the pre season favorite in the state crushed everyone. But on day two they took on two Top 5 teams in St. Rose who showed they could be a real threat to win the SCT. St. Rose promptly knocked off SJV for the win. Then SJV won at the buzzer when RAHMENA HENDERSON drained a three at the buzzer to beat defending TOC/ SCT champs Manasquan. St. Rose which on Staturday was without 4 starters beat a very talented Staten Island Academy. Staten Island has three D1 player Sophia DeMauro who will be attend Rider University… Emily Lapointe who will be attending Manhattan College and Sophmore Allie McGuinn who most certainly will sign at a D1 school one day. Academy got roughed up by the big girls on day one. Besides ST. ROSE, Academy ran into a highly motivated SJV team and nobody told JADA BONNER it’s just a fall game. Gil Bernard is going to surprise everyone despite losing 4 D1 players who transferred out. 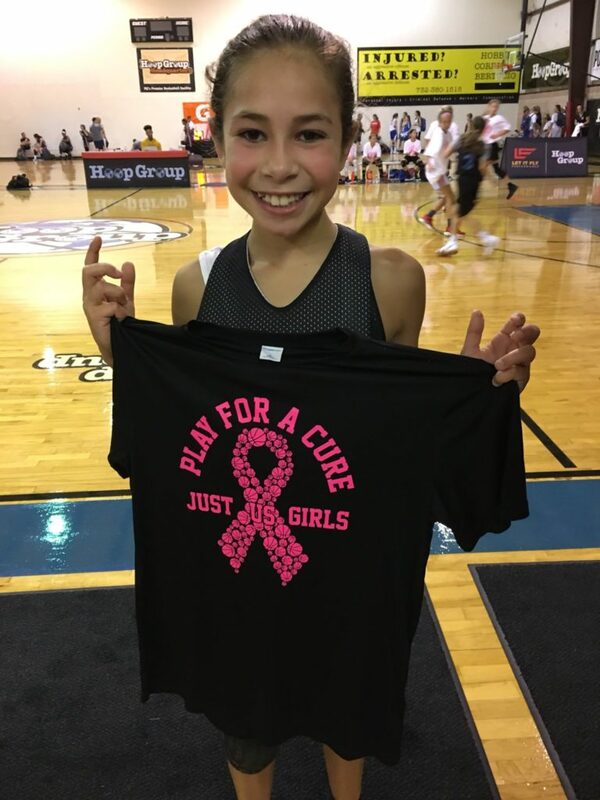 They picked up stud ELLA FAJARDO who no question is one of the best Point Guards in the 2021 class. They also have a power 5 post player in Caleigh Walsh. Folks Walsh is the most skilled young post player these eyes has seen in years. Somebody better buy this kid a pair of Ray Bans…cause her future is incredibly bright. But Gil Bernard ran into the “baby Unicorn” that goes by the name Justine Pissiott who broke a close game wide open with 4 straight three’s late. 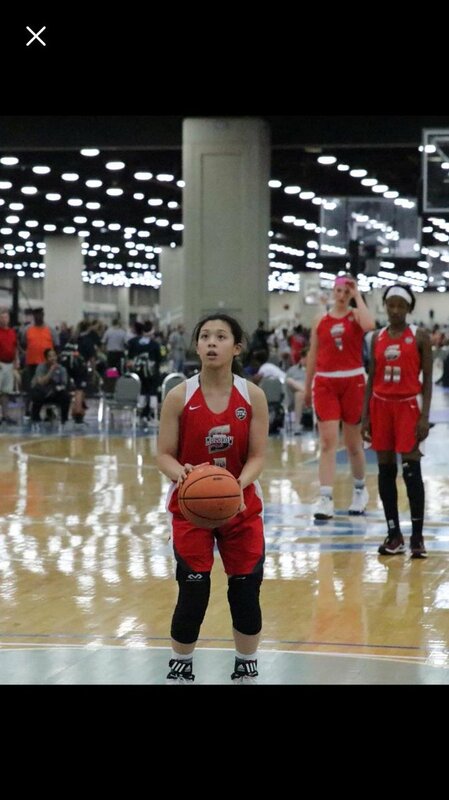 She was sensational on Saturday and had the gym and college coaches buzzing. Interesting is that while insanely young, RBC could be very dangerous late in the season. Julia Setaro and Fab Eggenschwiler, I believe hold the key to there season. Both will need to provide real leadership. But the sleeper just may be Shae Sabino who appears to be coming into her own. Shae Sabino was brilliant at times on Saturday. Her ball handling and movement has improved big time. Not only was she knocking down three’s, she got to the rim both in half court and transition. She is becoming a real factor. RBC lost to big to The Patrick School on Sunday. The Patrick school led by the electrifying Sophomore “oh Canada” has so much talent and quickness. Before yesterday’s game Lashae”O’Canada Dwyer and Sophia Sabino did two hours of battle at NBS. These two are the best young point guards in the state. Dwyer is almost unguardable and Sophia Sabino right now is the most complete college ready baby point guard baby I have seen in years. The Patrick School folks is going to an almost impossible out for anyone come the states. Remember they are also soooo well coached. Those who expect Manasquan to lower there expectations this year, better forget that. It’s clear while losing Mabrey will hurt. Manasquan has two of the best players in the state in Lola Mullaney and Faith Masonious. Annie Makos is showing she is ready for prime time and Manasquan has the deepest freshman class. Here something I saw Sunday, that may shock people. Folks RBR is so good it’s scary. They are easily knocking on the Top 20 door. They play so hard and even in a fall game, move the ball so well. Amelia Medolla is a major pick up for RBR, she makes everyone around her better and adds another real scoring threat. Coach Turhan, will try to stay under the radar as long as possible but it may not be easy. I would not want to play them in a tight spot. They are a highly efficient crew on both sides of the ball. They have a talented team of athletic players. 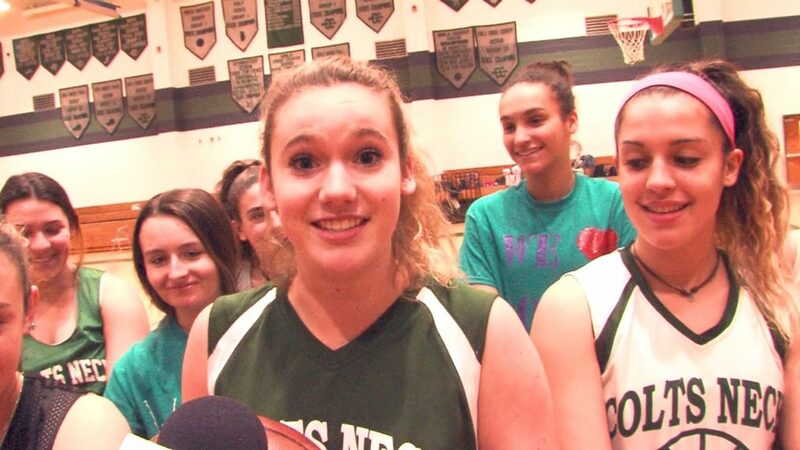 Speaking of Colts Neck, Camryn Foltz is going to have a All Shore season. Once thought to be the best player entering the 2020 class, she has battled injuries after missing her freshman year. But this fall she has been in beast mode. 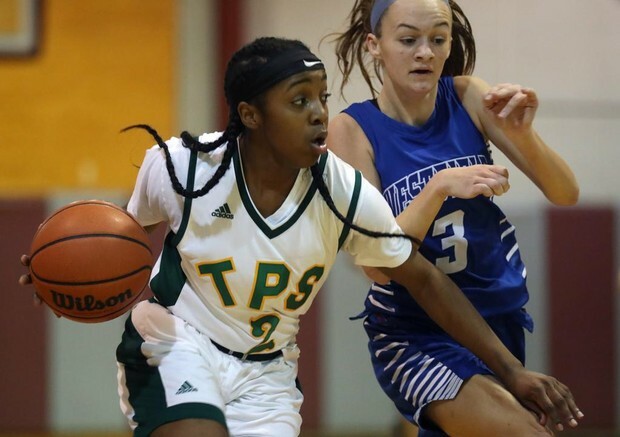 Yesterday the Colts Neck star had 29 points of Colts Neck’s 33 points vs future Top 20 Middletown South and was as one coach told me…”She was the most impressive player in the gym”. When I walked into the gym Saturday, all I heard was that Katie Hill was sensational and Freshman Madison St. Rose is going to be a serious problem, no surprise there. But SJV has a very special freshman class. Callahan college coaches is a future D1 lock. The 6’1″ freshman is going to be special. For the record she has been very impressive at NBS.. The white division was made up of some of the best young babies from Pa-NJ. 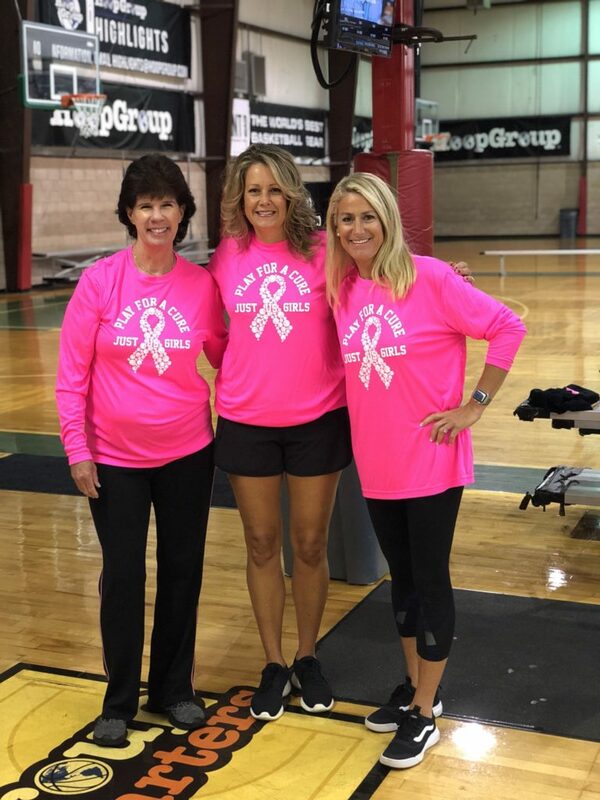 A really cool part of the division was the CJ HAWKS LIGHTING DOREEN STANZIANO( a cancer survivor) played in honor of Katrina DiMiele. The division had tons of future D1 talent. The games were highly competitive. The Comets, Team Flight, NJ BELLES, NJ Magic, the Shoreshots were all were in this division. The talent was off the charts and more importantly the players got after each other and it was done with tons of sportsmanship. 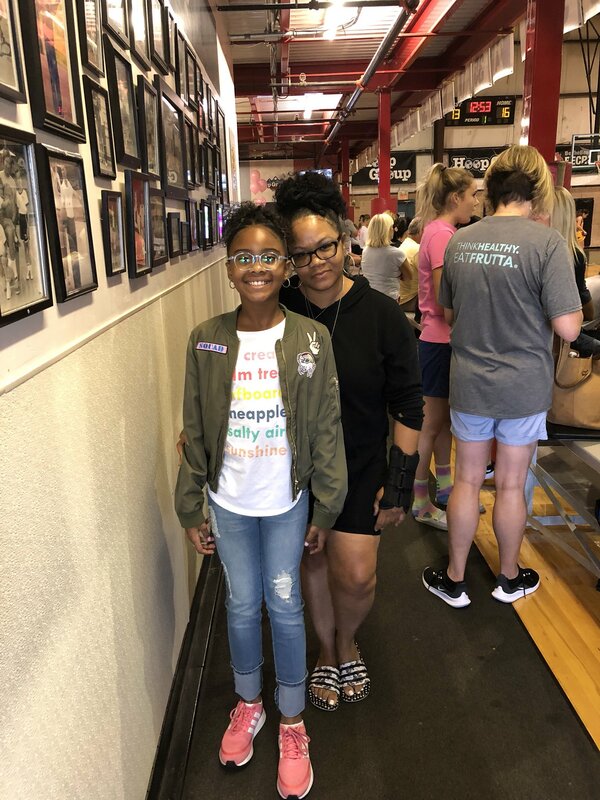 It’s great seeing parents in the stands rooting in such a postive manner…it makes the competition and games so much better. The JUST GIRLS was more than anyone could have predicted. 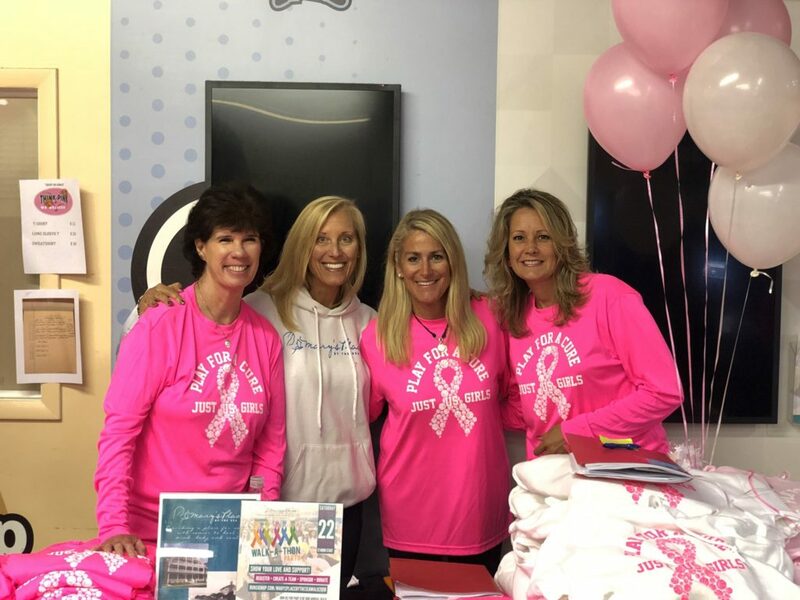 A great cause with great competition. Next year’s event will need to do something real big to exceed this weekend. 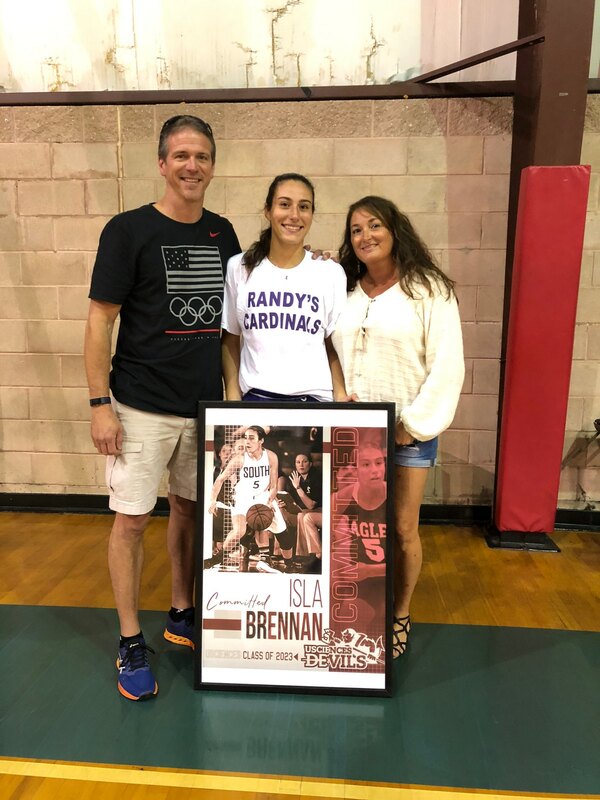 I think college coaches, the players and fans got there money worth….TRACEY SABINO WELL DONE! !